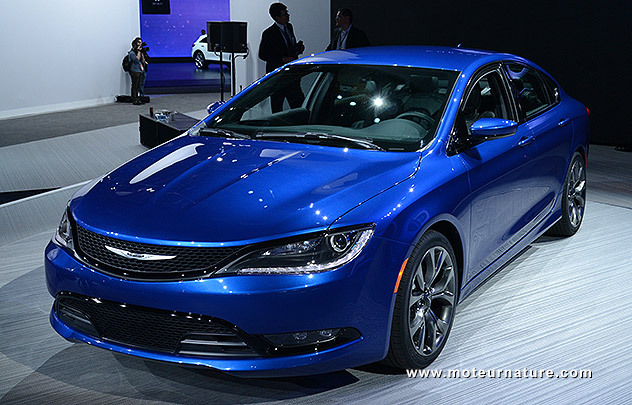 This Chrysler was one of the most important new offering at the Detroit show. It’s a nice looking midsize sedan, with the front grille smoothly integrated between the headlights, and it’s been a while Chrysler had a competitive product in this segment. It could become a big-seller. Two engines are available. A 184-hp 2.4-liter inline-four and a 295-hp 3.6-liter V6, but what really sets the Chrysler 200 apart, is its nine-speed automatic transmission. There is a nine speeder autobox available as an option in some expensive Mercedes sedans in Europe, but it’s the first time a transmission with so many gears is available on a mainstream model. The idea is that with so many gears, the engine will be kept at all times in its most efficient operating range. Sounds good but on the condition gear changes are real fast! 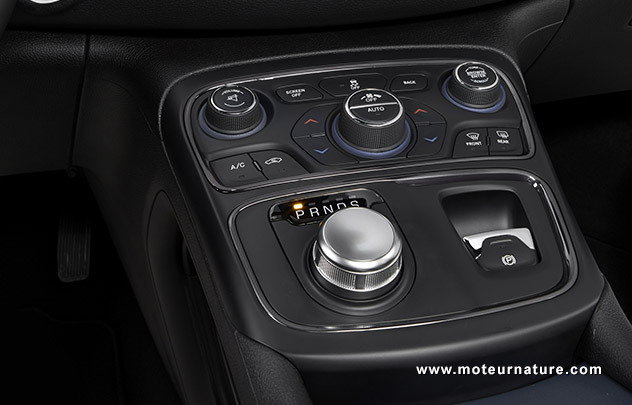 There’s no gear lever, but a rotary dial like in the latest Jaguar models. That looks clean and modern. 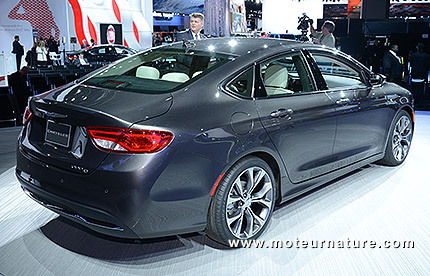 The Chrysler 200 will be available later this year, with prices starting at $22,695.